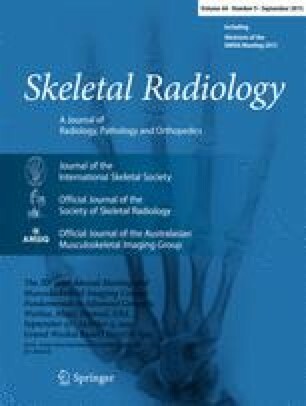 This study assessed whether radiolucent carbon fiber reinforced-polyetheretherketone (CFR-PEEK) intramedullary nails decreased hardware artifact on magnetic resonance imaging (MRI) and computed tomography (CT) in vitro and in an oncologic patient population. In vitro and clinical evaluations were done. A qualitative assessment of metal artifact was performed using CFR-PEEK and titanium nail MRI phantoms. Eight patients with a femoral or tibial prophylactic CFR-PEEK nail were retrospectively identified. All patients had postoperative surveillance imaging by MRI, CT, and were followed for a median 20 months (range, 12–28 months). CFR-PEEK images were compared to images from a comparative group of patients with titanium femoral intramedullary nails who had a postoperative MRI or CT. A musculoskeletal-trained radiologist graded visualization of the cortex, corticomedullary junction, and bone–muscle interface, on T1-weighted (T1W), STIR, and contrast-enhanced T1-weighted fat-saturated (T1W FS) sequences of both groups with a five-point scale, performing independent reviews 4 months apart. Statistical analysis used the Wilcoxon rank-sum test and a weighted kappa. Substantially less MRI signal loss occurred in the CFR-PEEK phantom than in the titanium phantom simulation, particularly as the angle increased with respect to direction of the static magnetic field. CFR-PEEK nails had less MRI artifact than titanium nails on scored T1W, STIR, and contrast-enhanced T1W FS MRI sequences (p ≤ 0.03). The mean weighted kappa was 0.64, showing excellent intraobserver reliability between readings. CFR-PEEK intramedullary nail fixation is a superior alternative to minimize implant artifact on MRI or CT imaging for patients requiring long bone fixation. We thank Gregory Donaldson, Yousef Mazaheri, PhD, Duane Nicholson, Bernard Woodham, and Alex Yu, all from the Department of Radiology, Memorial Sloan Kettering Cancer Center, for technical assistance with the MRI phantom imaging portion of this study. We also thank the Major Family Philanthropic Fund for its generous financial support of the Orthopaedic Fellowship Program at Memorial Sloan Kettering. The authors declare that they have no financial conflicts of interest. This study received no financial support from the manufacturer of the CFR-PEEK intramedullary nail examined.